I stumbled across this ancient page, and thought it was so dated that I had to share it. Bravo on MicroFocus for keeping it up. It’s kind of cute they ran it all on a couple of Zenith Z-Server LT P60E computers, which have 128MB of RAM and 5GB of hard disk space, and 2 T1’s. Even more shocking to me is that their LAN was just 10Mbit, which for a Unix/Networking OEM you’d think they would be on the edge with new tech like 100Mbit Ethernet, or more complicated/fast technology like ATM or FDDI. Heck even 16MB Token Ring. It’s amazing the tiny screens we had back then. I can still remember the 800×600 debate, as people even in the later 90’s were pushing for megabyte pages, and ludicrously big real-estate. Windows NT, on the other hand, handled the chores okay, but it lacks a wide developer base. As a result, few tools are available for working with Windows NT. Naturally the tell is that they didn’t load HTTPD directly on NetWare as it was dead with the arrival of Windows NT. And UnixWare and commercial Unix was also dead with the utter stagnation of SYSVR4. And the product page for UnixWare was that awkward 50’s stock images, with too much red/pink that was all to common for Novell back then. It’s almost laughable that they considered being able to run on the i386 as being ‘portable’ but for whatever reason they never could port UnixWare to any other platforms. When they sold off UnixWare to Caldera they failed to do anything with it, and famously turned to lawsuits to attempt to recoup their money from the botched port to the Itanium that was done with IBM’s ‘help’. UnixWare was going to lead the charge in the post SYSV world, but it’s constantly being sold, and pushed to do different things and fit an increasingly smaller role just cemented the demise of SYSV. And of course marginalized and almost forgotten, NeXTSTEP would go on to be the #1 commercial UNIX in the market place. The latest SYSVR4+ was a Solaris and Sun even published OpenSolaris sourcecode in 2005. (in 2010 Oracle removed it from the Internet). Yep, but it’s still SYSVR4… Nobody pushed the ball down the road, and it stagnated and died. Just as the IBM 390 & PowerPC versions of Solaris were quickly killed just after they got to boot. Mid 90s Novell was…… awkward. I remember my high school was a Novell shop…. partly. 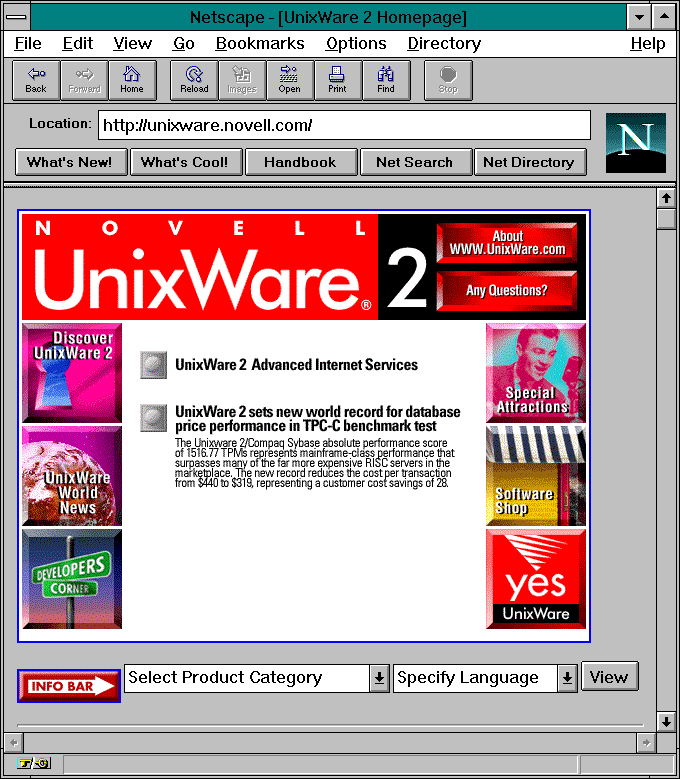 They had a library that ran NetWare in 1997, with their IP/IPX gateway system (that page is still up too: https://support.novell.com/techcenter/articles/ana19960902.html ). It was a bit of a mess and yet another sign of Novell’s NIH against TCP/IP ruling the world. Eventually that setup went away and the workstations ran straight TCP/IP with a SOCKS proxy. Other labs coming online in 1998 ran straight Windows NT 4 domains and eventually NetWare vanished 2 years later. Did Novell ever get away from all those text based DOS admin tools? I remember that killing off Banyan VINES pretty quickly after Windows 95 came out (also admined with DOS tools). Having a slick GUI gave Microsoft a big advantage back then. Novell had Windows 3.1 tools for their 4.x product, although it was more so for administering the NDS. Microsoft had licensed some stuff from them as part of the creation of Active Directory, from what I recall from reading the tech tabloids of the era. I also vaguely remember that SUN also had some IP proxy over IPX/SPX, as once this internet ‘thing’ started to take off and people were trying to leverage their expensive and existing LAN/WAN’s into something that could access the internet. Thankfully that was a very brief thing. What was retarded was that this was a brand new network for 1997. It should have run TCP/IP from the beginning, not IPX. Luckily they realized the error of their ways. Look at it again. It’s Novell. Like the company that made Novell Netware, and pushed IPX/SPX onto the world. Many LANs in the late 80’s to late 90’s were IPX SPX only, hence the inclusion of IPX in NeXTSTEP, or additions for Solaris. Even early internet gateways worked over IPX/SPX. Novell never really did ‘learn the errors of their ways’, when it came to TCP/IP, by the time they had native IP services they had given up their kernel, moved onto Linux, and basically died in a corner where the only customers left were government entities who found it easier to just keep buying from an approved vendor than go through the whole procurement process again. So cool- A lot of work in my early years in the industry was NetWare and integrating it with other stuff (Unix, AS400, mainframe, VMS etc). Consequently I became the UnixWare guy at the shop. Novell had gateways for all of these. I used to do site installs and troubleshooting for Netware for SAA – this gateway interfaced the Netware world with AS400’s and mainframes. Very popular at banks. The mainframe guys were very worried when I, a PFY at the time, would request they restart the VTAM! There was Netware for NFS which would export a Netware file system to NFS clients. Then there was the Netware NFS Gateway which would do the opposite and make available an NFS export available to Netware users. These both worked great but getting the user mappings correct between the two worlds was always a nightmare. 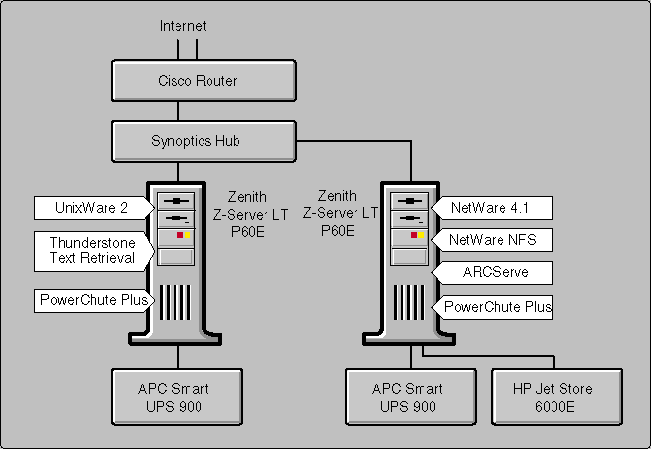 Netware for LAT provided terminal services from DECNet hosts to Netware clients. That one was pretty simple as I recall. Oddly, Novell didn’t have an IP/IPX gateway that would provide terminal services. We used Firefox Novix for this. This was an IP/IPX gateway and if I remember correctly, it was quite a simple affair initially. DOS based VT emulators would communicate with the gateway (over SPX probably) and then the Novix Gateway would broker the connection to pre-defined or arbitrary hosts as the administrator allowed. Version 2 I think butchered the Winsock DLL to talk to the IPX stack and thence to their gateways. The first ‘corporate’ internet connection I installed used this as a kind of firewall before I knew what firewalls were. 2 NICs in a Netware server, one had the Novix IP stack bound exclusively and the other had regular IPX/SPX. Kind of a firewall before firewalls were a thing!! Unixware was great. I went to Novells UK HQ in Bracknell to see the early versions. 1.0 was a bit dodgy but patched up to 1.1.3 I think, it was quite solid. Installed loads and loads of Unixware up and down the UK. Loved it. PATHWORKS was fun. That was essentially DECs implementation of SMB/NetBIOS on the VAX platform. The shop had a test MicroVAX3100 to play with. There was an interesting product called ‘Pathworks for Netware’ which was a Netware server that ran on a VAX/VMS hosts and talked IPX to the PC world. Lots more stories from those days…. great fun! I used to have a tape for that NetWare for VMS, but sadly I lost it long before I could get it to a drive to image it. But I’ve physically touched a TK50 tape! Out of curiosity do you have any SAA CD’s? I’ve been looking for SNASIM which I think should be on the CD, although the one I’ve managed to find over the last 10 years didn’t have it. It’s mentioned on this page, and elsewhere, that it’ll emulate a host over DLC so you can test stuff like SAA & MS SNA. I’ve setup Netware SAA for a travel company that used it to access SABRE.  Although I kind of preferred MS SNA Server to be honest. I have a bunch of the DEC Consolidated Software Distribution on CDROM. The full Pathworks suite is on there, including NetWare for VMS. I have a bunch of TK50 tapes and drives here. I *may* have Netware SAA. I packed up and moved country a few weeks ago and the box with that stuff is in with all my goods being shipped. It’s all still at the freight forwarders. It was the package that Novell shipped out a bunch of years ago to demo their products. It had Netware 4, Netware 5 etc and a load of the add on products. When it finally arrives I’ll dig it out and look (please remind me though, as admin you should be able to see my email address?). I remember SNASIM yes. Unsure if it’s on the distribution I mention it not being the full boxed product. I always had an AS/400 to test against. Got 4 now at home! Never liked MS SNA though I understood it became way more capable in later versions. I installed the 1.0 version at a few LAN Manager sites. Windows NT 3.1 and SNA Server 1.0 on a 486/66 with 16Mb RAM was painful even back then! It’s always fun changing countries… although I didn’t get the luxury of shipping my past unfortunately. Oh well. I guess the only thing I have more strange is Citrix 2.0… Although it’s based against a late beta of OS/2 2.0 so the 32bit binaries are totally different compared to what shipped. Hi – I got the CD’s finally. Will look this weekend for SNASIM and the versions of SAA in the kit. That would be awesome! the Netware kit I have sadly had no snasim anything.